Originating in New Orleans, Tank and The Bangas have all the qualities that relates them, to the city that birth them but a flair that separates them as well. Their performances range from being One of the most energetic shows youll ever see to A gospel tent in Mississippi. Rummaging through their sound like a thrift store hippie, youll find the Bangas to provoke a musical reference of Rhythmic Soul and Spoken word among other genres such as Rock, Gospel, Funk, and Folk. Combining the various musical techniques among the Bangas, coupled with the instilling play on lyrics from the lead vocalist; Tank and The Bangas have quilted a unique sound that singles them as one of the most distinctive groups to come out of New Orleans. The group has graced the cover of one of New Orleans most recognized magazines, "OffBeat" and recently won band of the year at the New Orleans Big Easy Awards. 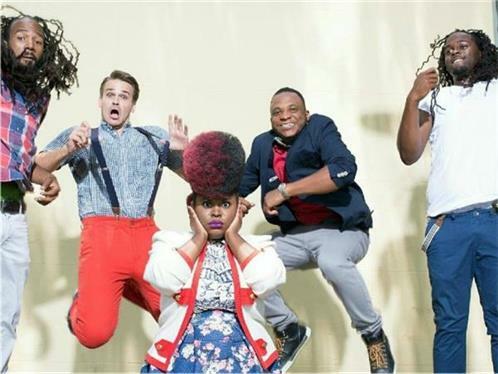 The group has opened for acts such as LiAnne LaHavas, PJ Morton, Galactic, Big Freedia, The Revivalist, and The Soul Rebels. Tank and The Bangas are sure to give you an experience you won't forget.